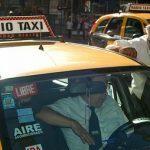 Browse: BuenosTours › Buenos Aires Guide › Advice & Info › Getting Around › Which Barrio to Stay In? 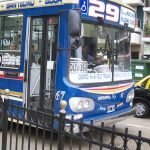 I know…I know….I need to get to Belgrano and some point and take some pictures etc…it will be represented on this blog fairly soon, I promise! I stayed in an apartment in Monserrat and the area was great!!! It is not dangerous at all! In fact, a friend of mine stayed in a hotel in Palermo and she was robbed there! Maybe I was lucky… but I had such a great time!!. I do recomend these neighborhoods! Hi how is the area near the Zoo and Botanical garden. I am interested in tango and shopping. Thanks. I appreciate that you’re planning on writing more about Belgrano, but it sounds like you know quite a bit about it. Could you give a quick thumbs up or thumbs down re whether a first-time visitor would be disappointed staying there? Is it very suburban and off the beaten track, say, like traveling to Manhattan but staying in New Rochelle? Thanks. Belgrano is actually a more residential kind of area. It has a very large shopping street, but not much else for tourists to see. 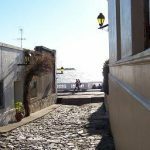 You can actually find very busy streets there, but if you move a little far from Cabildo (which is the main street) you can find more laid back areas. It is recommended because it is very close to the subway, and it has much less expensive hotels and rentals than palermo (which has raised to the “fashionable” level by now). The cons is that it is a bit farther away than other barrios, so you will be traveling 30-45 minutes each way, daily. Don’t forget “Las Cañitas”, a small enclave within Belgrano, bordering Palermo, often considered a barrio in itself. Here you will find the famous Polo Field as well as some of the hippest bars and restaurants in the city. Undoubtedly one of the best areas to base any stay in Bs As. How’s Caballito? I have a friend offering me an apartment (for my vacation)there, but I’m not sure if I should stay there. Would some other barrio be better? HI,Alan. I am very surprissed to know than an English guy is showing the city that I grew up and love. Hi!! I’ll come to BA and I need to know the possible areas to consider for an appartment close to catalinas plaza. Please give me some ideas and help.